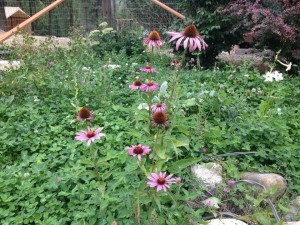 Gillian has a nice blog, discussing aspects of her homesteading life in Ontario – True North Life. In this entry she talks about Making Maple Bacon. Mmm, delicious, delicious bacon. …As with all meat curing or meat projects, it starts with a great cut of meat. For bacon, you want a nice juicy looking pork belly. Remember this process takes time so you want a pork belly worthy of your efforts. This means from organic hogs or hogs raised humanely without hormones or antibiotics. Or from a heritage breed like Berkshire, Duroc, or Kurobuta. Each has a richer, meatier, more distinctive flavour than industrial pork bellies. By the way, a full pork belly weighs 10 to 12 pounds. Whole Foods will sell you pork bellies by the pound, which may be easier to handle for home smokers. Our smoker can’t handle a whole 12lbs so we usually go for the 2-3lbs and we don’t want to make to much of the same kind of bacon at once until we learn our favourites. After getting your meat youll need to prep it to be cured. The bottom of a pork belly usually comes with skin (rind), which will be tougher than the rest of the bacon. (It also blocks the absorption of the cure and smoke flavours.) Commercial smokehouses remove it using a slicing machine. At home, you’ll have to work a bit harder. Start at one corner and use a sharp, slender knife to separate the skin from the meat, angling the knife blade toward the skin. Better yet, ask your butcher to skin it for you. Do not discard the pork skin. Direct grill it over a medium flame on both sides (start belly side down) until crisp and golden brown to make “brownies”—crackling crisp bits of skin to fold into pulled pork. Or deep fry it in oil to make chicharrones (pork cracklings). 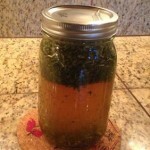 It can also be used to give flavour to beans or greens. Click here to read about the entire process. Posted on February 8, 2019 February 8, 2019 by lvassemblyPosted in InformationalTagged bacon, gillian, homestead, maple, true north life. The Sensible Survivalists have a nice article up titled The Basic Homesteading Skills My Grandmother Learned During WWII And Then Passed On To Me. If you are getting ready to start your first garden or just beginning to move toward more self-sufficiency, it’s a good read to get you on your way. I think the person who taught me the most, especially about homesteading, was my wonderful late grandmother. She was a young woman in England during the Second World War. It was a difficult time for everyone, especially families. Food and resources were limited, and morale had to be kept up. She and her friends learned so many new skills in order to cope, and managed to make it through in one piece. My grandmother passed on some of her homesteading skills to me, which has been invaluable for our own experience. Along with those skills, she taught me to be resourceful, resilient, imaginative and tough, and I’ll always be grateful to her for that. In this post, I want to pass my grandmother’s wartime beginner homesteading skills on to you. I think there’s something wonderful about taking the painful lessons that our parents and grandparents learnt during difficult times, and then learning and growing from them. I sometimes wish I could go back in time. I would go and speak to my grandmother, aged 17, trying to get a coop of stubborn chickens to lay eggs, and I would tell her that generations and decades into the future, her granddaughter would be applying those lessons to her own homesteading life. I think she’d be happy about that. Posted on November 28, 2018 by lvassemblyPosted in InformationalTagged garden, homestead, self-sufficiency, sensible survivalists. The Prepared Homestead will present an introduction to family herbal medicine on Friday evenings from July 7th, 2017 through September 8, 2017 from 5:30 to 8:00pm in Cocolalla, Idaho. Come spend Friday Evenings July 7-Sept 8 5:30-8:00 PM on the homestead learning about Family Herbal Medicine and working with herbs. Herbalism has been around for thousands of years. It has been the traditional method used by people on every continent to support health and bring healing. Today there is a resurgence, a renewed interest in taking charge of our own health and educating ourselves on family herbal medicine know-how. In this 10 week program my goal is to build your confidence in your knowledge and ability so you feel equipped to take care of your family’s basic health needs. Each of these sessions is available individually, they are also available at a discount as groupings (see description below) or at a significant discount when you register for the entire program. Why use herbs? Why study family herbal medicine? This is 25 hours of herbal instruction and hands-on learning opportunity! Each session costs $35 when bought individually. I have space for only 10 people in each class. This is a very interactive, hands-on herb class so be ready to learn tons and have fun doing it! **Cost for supplies is extra. The list will be emailed to you upon confirmation of enrollment or you can pay a small fee and I will provide all the supplies necessary for each session. 2018 Edit; They now have a ten month herbal school — Huckleberry Mountain Botanicals School. Posted on June 22, 2017 July 7, 2018 by lvassemblyPosted in Informational, TrainingTagged botanical, family, herbal medicine, homestead, prepared, school. The Prepared Homestead is offering a workshop in starting your own poultry processing business. The cost is $49 per person and will be held July 1st, 2017 and July 29th in Cocolalla, Idaho. Those interested in learning how to humanely, cleanly and efficiently process poultry. And those who are looking for a small business opportunity. We started out processing our own poultry and in an effort to help us pay for the equipment we started taking on a few other people’s birds. In no time at all, we were able to stay busy processing as many birds as we wanted within our model. When? Based on the majority interest we came up with two dates: July 1st and July 29th. The workshops begin at 10 AM. Where? Cocolalla, at The Prepared Homestead. We will provide directions after you register. Click on the link below to pay for a class seat. Comment in the facebook group: The Prepared Homestead – Workshops and Classes on the pinned post with your date. Please keep in mind that we need a minimum of 4 students and a maximum of 10 per class date. First come, first served. Posted on June 22, 2017 June 22, 2017 by lvassemblyPosted in Informational, TrainingTagged business, chicken, homestead, prepared.